I’m going to be really honest with all of you, during my horrible pregnancy with Hyperemesis Gravidarum, I made lists of everything I was going to do and not do once he was born. 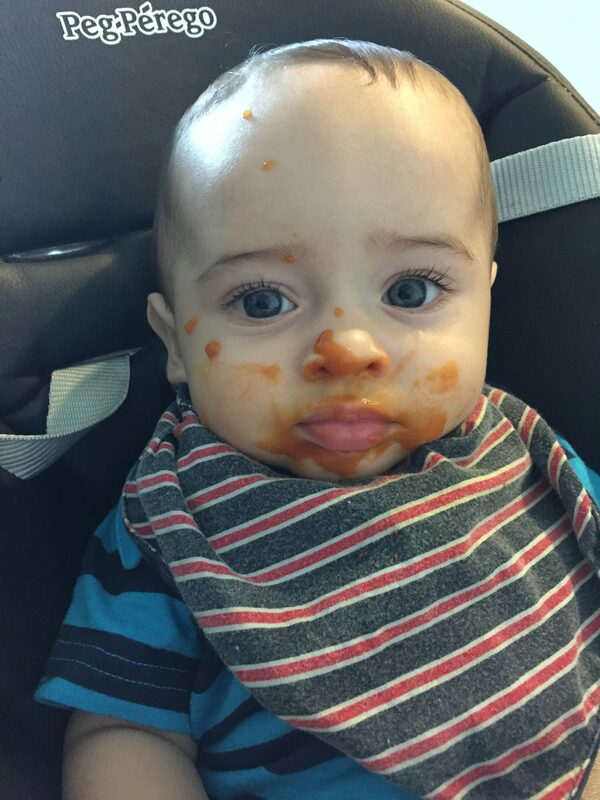 Buying store bought baby food was NOT on my list. 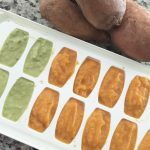 In my own little ideal world, I envisioned a clean house, dinner cooked on the stove daily, and, when it came to that point, fresh homemade organic/natural baby food. THEN, reality set in. I have one baby, ONE, and I still struggle to find time to even take a 5 minute shower. The struggle is real people, which is why I’m thanking Gerber for making ready-made purees for when days just seem endless, right now it’s EVERY. SINGLE. DAY. I’m in the process of making my own food, it’s not hard BUT finding the time is. I am looking forward to officially making my own some time this week so make sure you stay tuned to hear all about it. I’ve learned to not stress myself so much and enjoy what companies, like Gerber, have produced to make family life easier. After all, we have to enjoy these little ones, they’re only little for so long. One of the first veggies I introduced to Liamsito was peas. I was shocked that he loved it. 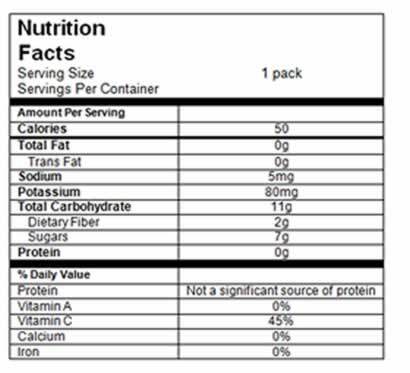 Even better is that it’s made from natural veggies. Not bad, Gerber, not bad! Even when I successfully make my own purees, I’ll still have a stash of Gerber natural/organic products for when we’re on the go. 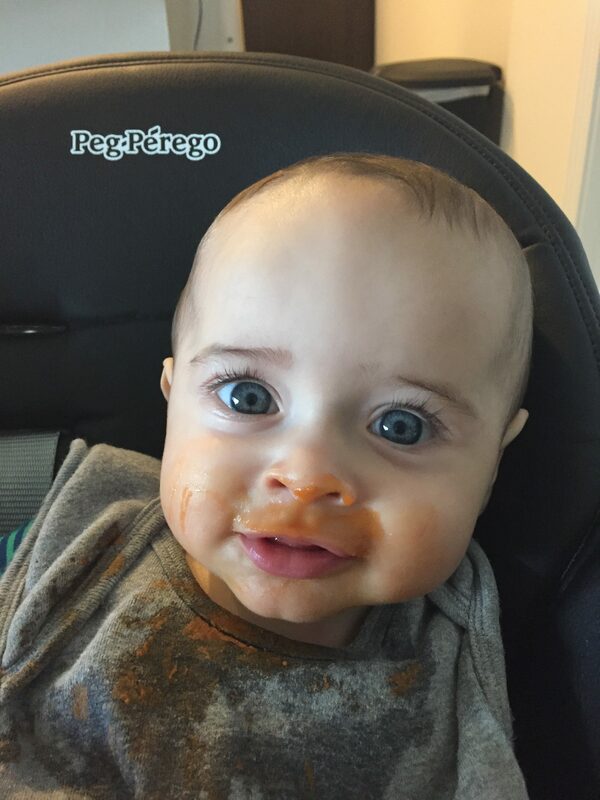 Here are some snapshots of Liam enjoying Gerber. 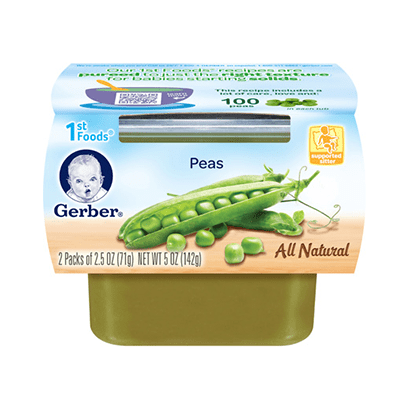 Have you tried out Gerber All Natural foods? What are your babies’ favorites? FYI: I am, in no way, affiliated or being sponsored by Gerber. We just LOVE their product and were eager to share it with you this week!